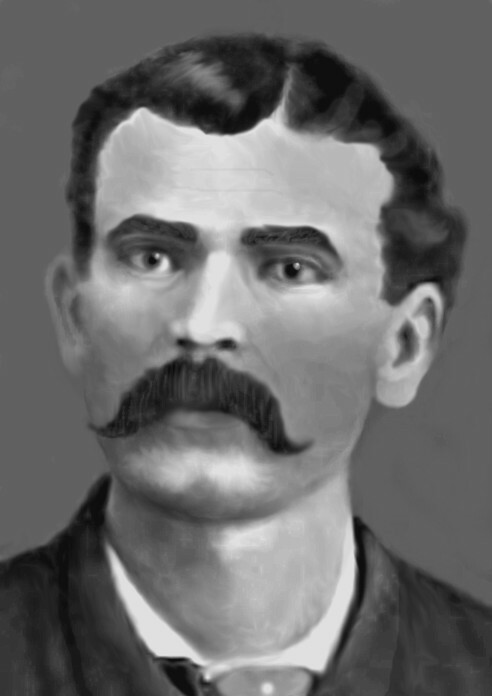 Marshal Fred White was shot and killed by a group of five outlaws who were shooting up the town. When Marshal White asked the leader to stop shooting the man walked up to him. The man's gun discharged as Marshal White grabbed the barrel and pulled it towards him. The suspect was taken into custody by the legendary lawman Wyatt Earp and two other Earp brothers. The suspect was acquitted of Marshal White's murder after Marshal White provided deathbed testimony that the shooting was an accident. However, the suspect and his fellow gang members were all later shot and killed by Wyatt Earp and his posse. Marshal White had served in law enforcement for 5 years. He is buried in Row 6, Boothill Cemetery, Tombstone, Cochise County, Arizona.